Gmail doesn't offer you much in the way of formatting to make your emails look more attactive. That's fine for most emails, but sometimes you need a bit more pizzazz—like, say, a headline. Then again, maybe you often email code snippets, and could use some automatic syntax coloring. Markdown Here is an unobtrusive extension that can help convert your text into well-formed HTML. 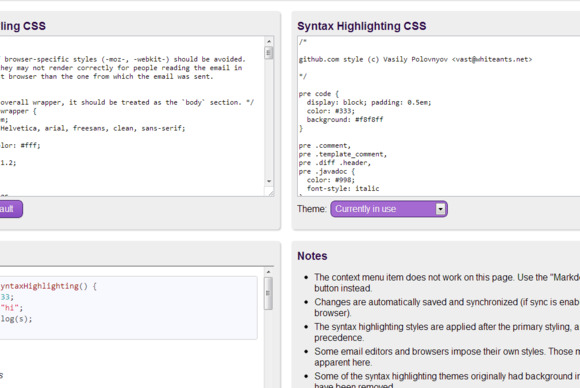 Markdown Here offers fine-grained settings for controlling the CSS that's included with your formatted emails. Markdown is a simple way to format text using special characters: To write an italic word, just surround it with asterisks. To make a word bold, just surround it with two pairs of asterisks. Markdown can be used to create links, headlines, bulleted or numbered lists, tables, horizontal rules, block quotes and more. Markdown's simple and friendly syntax was inspired by plain-text emails, so it makes sense to use Markdown to format email. With Markdown Here, you can write an email using Markdown, and then hit Alt+Ctrl+M and watch it transform into a beautiful, richly formatted message. Code listings get syntax highlighting, you can use multiple levels of headlines, and more. Don’t like the formatting? Hit the Markdown button again and it reverts to plain text so you can tweak it and try again. 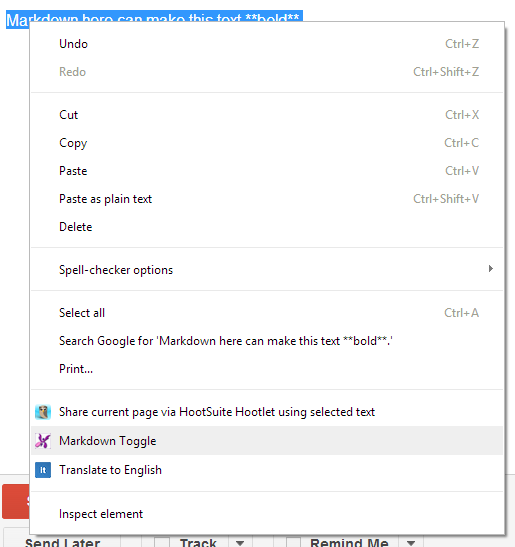 To format any Markdown text as HTML, simply select it, right-click, and click Markdown Toggle. You can also use Markdown Here when replying: Just highlight the part of the message you wish to format with Markdown, and hit the key combination. That combination doesn't have to be Ctrl+Alt+M–I like to use just Alt+M, and Markdown Here lets me easily change this. 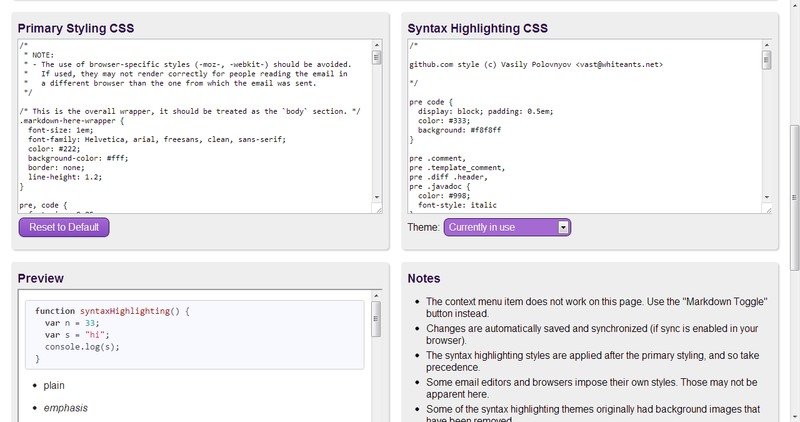 And if you often email code snippets, you can even pick one of several themes for syntax highlighted code. One note of caution, though; adding HTML and CSS to email messages can cause problems with some email clients, so if you are using this for a mailing list, offer a plain text version as well. This Chrome extension lets you compose emails in Markdown, and then convert it to HTML to use in Gmail.